The Colorform concept began in 1951, when two art students were experimenting with a flexible vinyl material. The students discovered the thin vinyl would stick to smooth surfaces such as semi-gloss paint, glass and laminated surfaces. 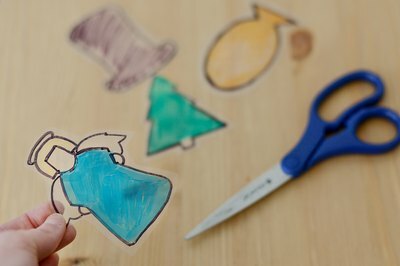 Colorforms have since been used in the creation of toys such as children’s books with static cling pieces that may be rearranged within the story over and over again. Lay vinyl flat on a clean, dry workspace. 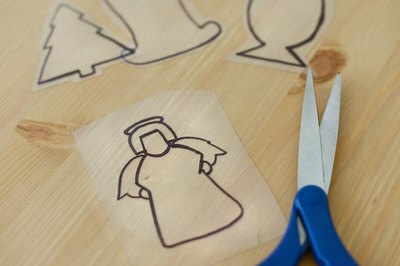 Place the paper or card stock over one corner of the vinyl sheet, and trace the card stock on the vinyl. 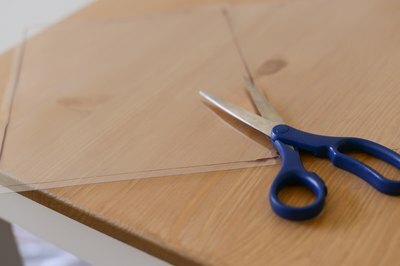 Cut the 8-1/2- by-11-inch tracing out of the vinyl sheet. Choose shapes and pictures from a free online source (see Resources). Place your 8-1/2 by 11 vinyl sheet in the printer's paper feed, and print the shapes you selected online. 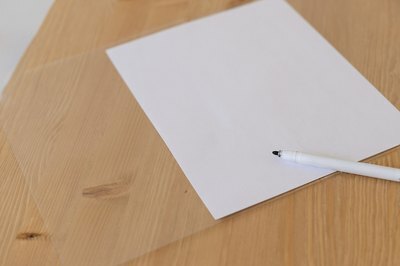 If you are not using a laser printer, let the ink set to the vinyl page, and then outline the shapes with a black permanent marker. Cut out the shapes. 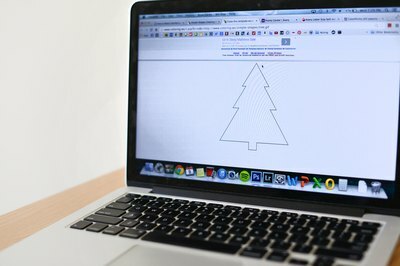 It is best to cut around the outside of the printed or drawn shape, leaving the outline of the shape on the Colorform. 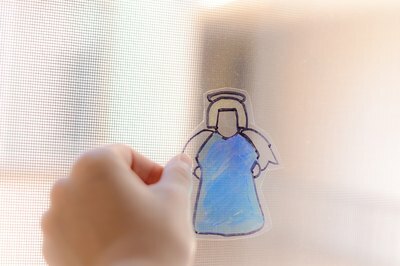 Cling Colorforms to a glass surface such as a window, mirror or other smooth laminate-type surface.